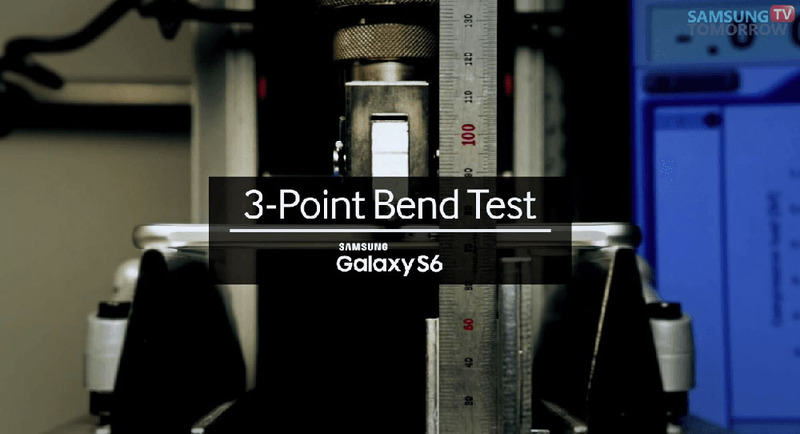 After rumors about the S6 build quality, Samsung has issued a statement complete with a video detailing its own bending test. 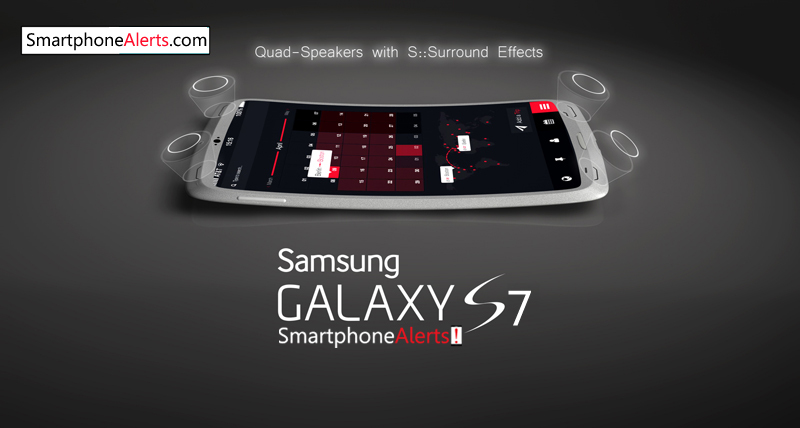 The company claims that the SquareTrade test does not indicate typical usage scenarios and is also not indicative of the phone's face-down rigidity. 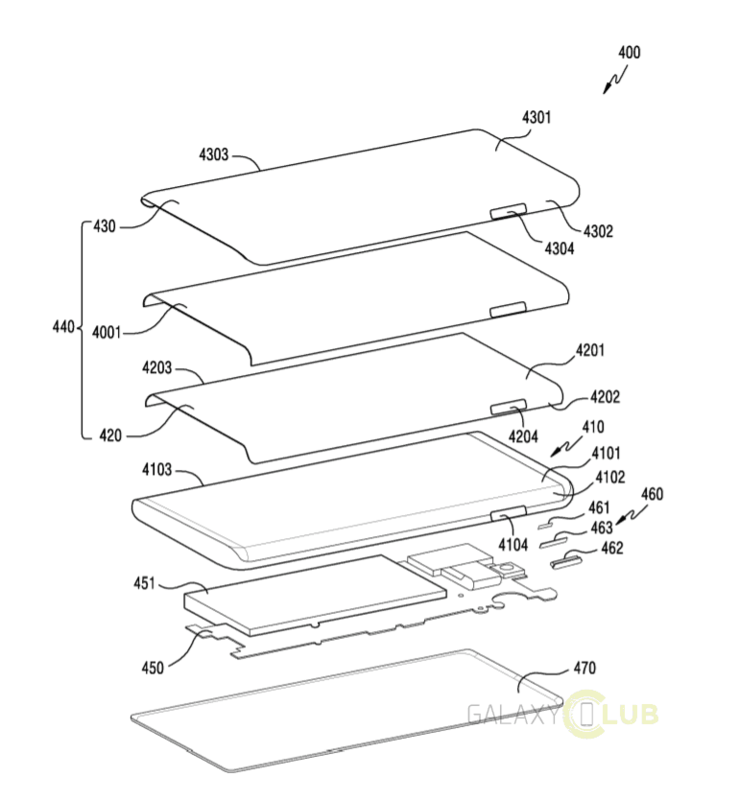 In the Samsung video, which opens up with a quick disclaimer, that it's not inspired by sadistic desires, the complete bend test routine is shown on both the Galaxy S6 and the Galaxy S6 edge. A three point rig is set up with the appropriate software to measure the applied force. To put an everyday meaning into the numbers a set of 5 pencils is subjected to the same test and reaches a breaking point just shy of the 80lbf (108Nm) mark. 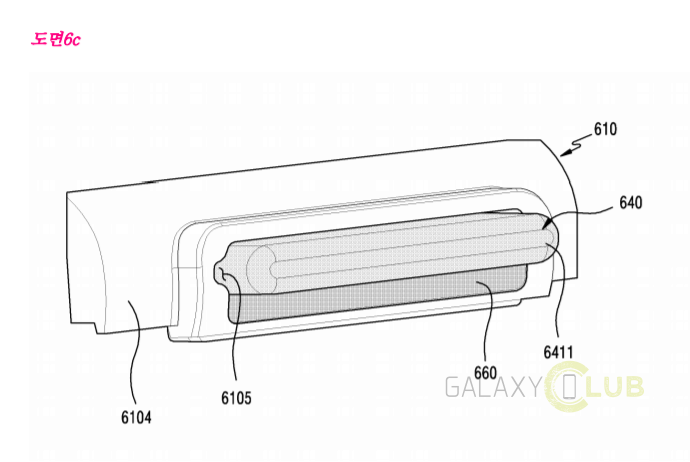 Then the Galaxy S6 takes the stage and survives a slightly larger force just fine, returning to its original shape. The Galaxy S6 edge fares equally well, both face down and up. 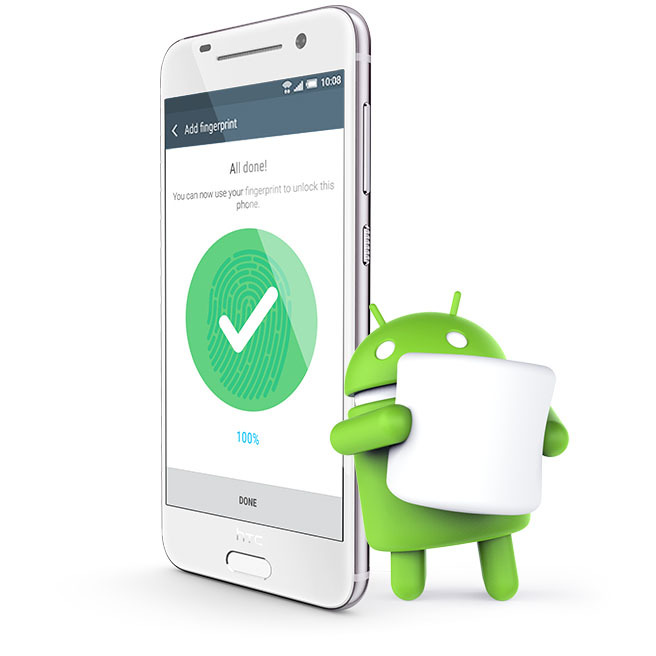 HTC One A9 is latest smartphone from HTC and the first non-Nexus device to launch with Android 6.0 Marshmallow. 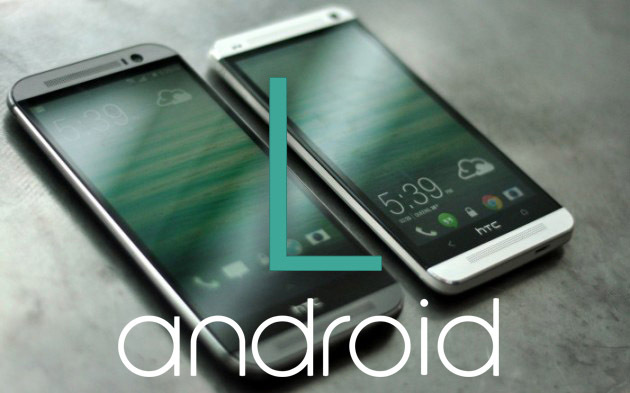 The handset is supposed to freshen up the HTC portfolio and give another chance of the otherwise struggling One lineup. HTC says it designed the One A9 from scratch, blending signature elements of its previous phones, such as the antenna stripes on the back. 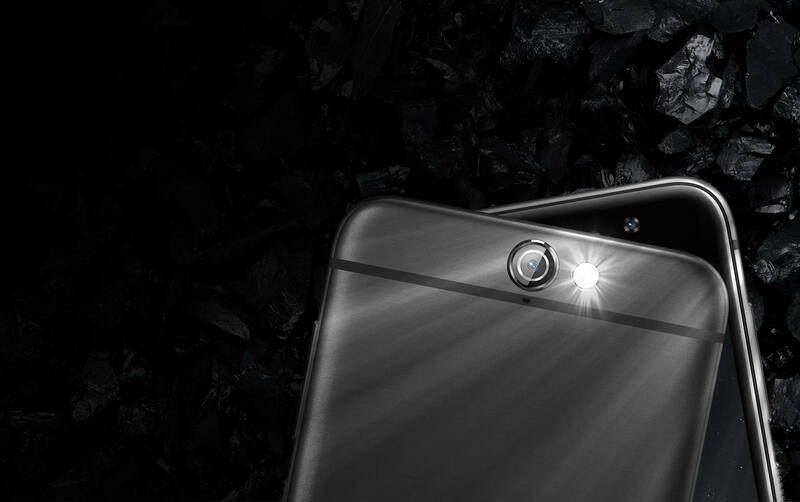 The A9's unibody is made entirely of metal, with 2.5D Gorilla Glass 4 protective glass shielding the entire front. HTC One A9 is quite thin at just 7.2mm of thickness and it seems like a pocket-friendly chap with the 5" screen and the 143g of weight. The main camera of the One A9 packs 13MP sensor with optical image stabilization and 1080p video recording (the Snapdragon 617 doesn't support 4K). 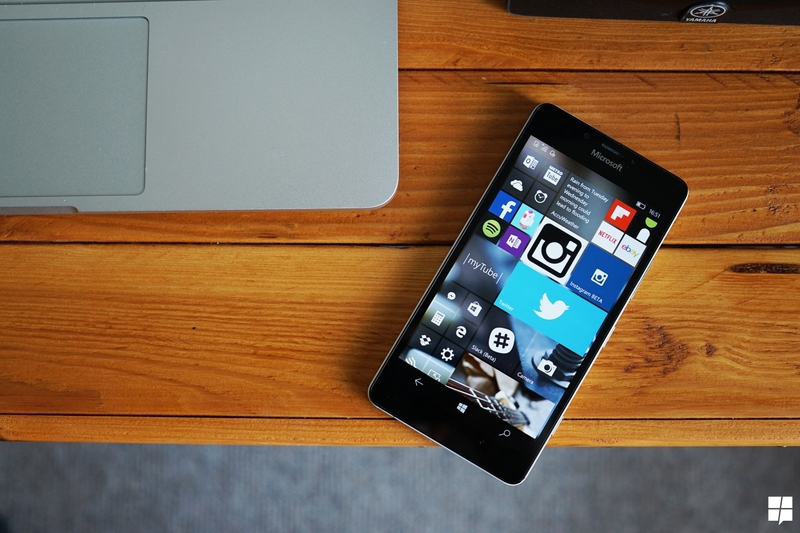 It supports RAW capturing and Hyperlapse (stabilized time-lapse) videos. The front snapper has a 4MP UltraPixel sensor and a bright F/2.0 aperture. HTC One A9 comes with either 16 or 32GB of storage, expandable via a microSD slot. 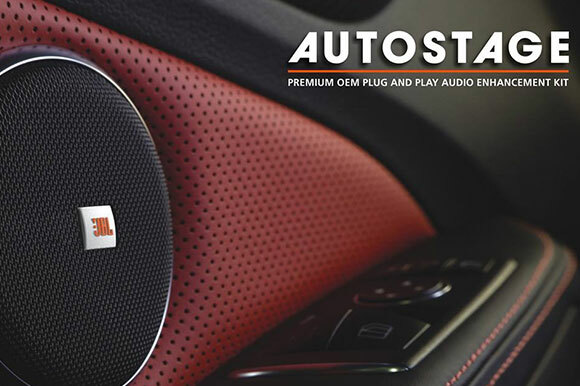 LTE connectivity is naturally supported, while a new high-power DAC that promises unmatched audio experience. 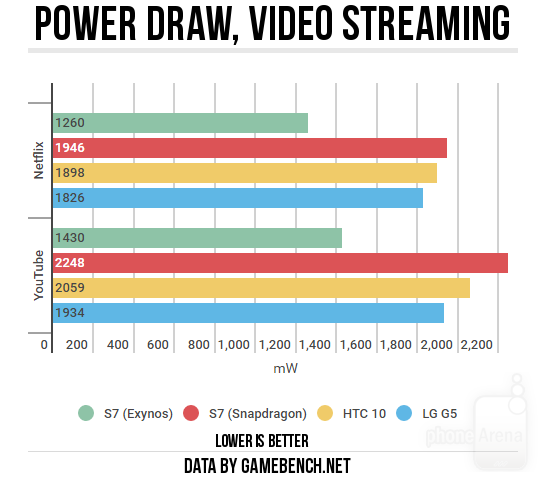 HTC One A9 is powered by a 2150 mAh battery, which supports Quick Charge 2.0 (and 3.0), though you'll have to buy a proper 15W HTC charger if you want to charge your battery lightning fast. 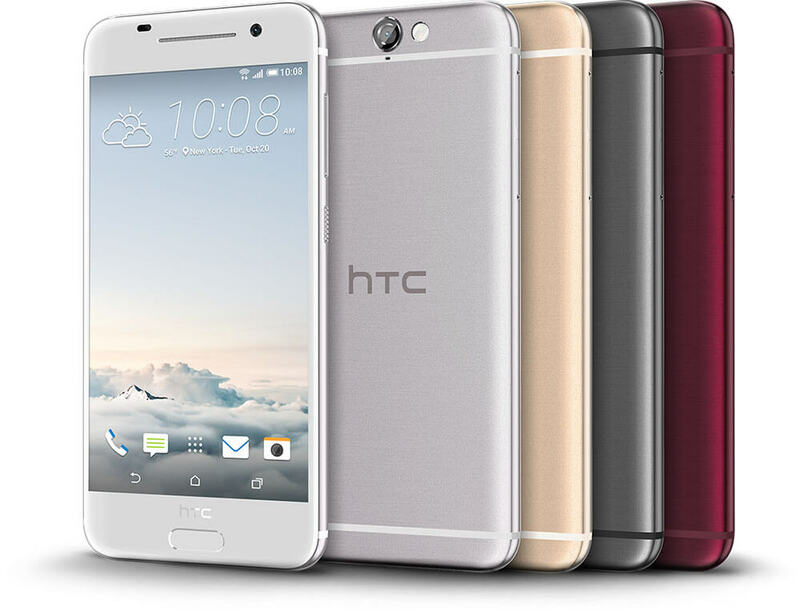 HTC One A9 will be available worldwide in a price of 600 EURO (about $580) by Early November,2015. 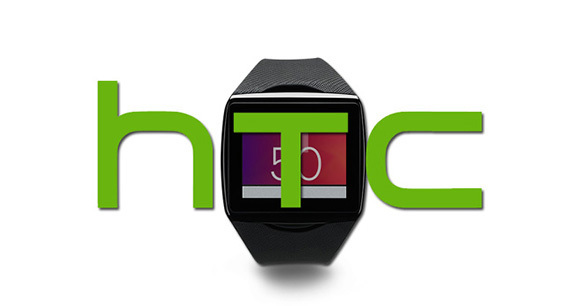 HTC executives reveales the company's plans for a wearable device in a conversation with Re/code. 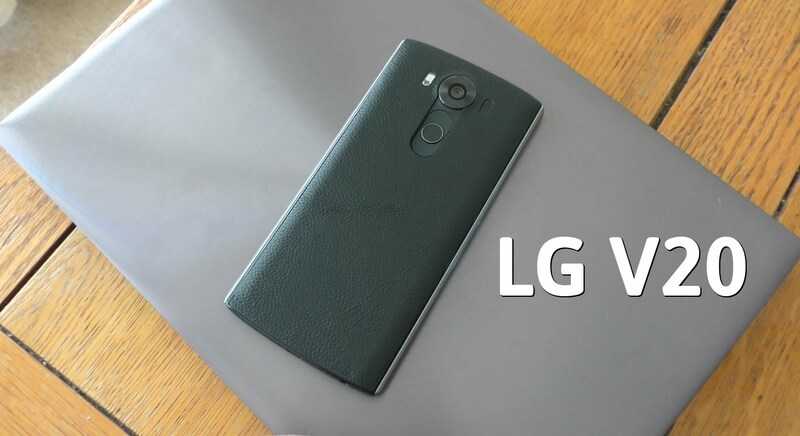 In line with past rumors, the Taiwanese manufacturer confirmed that it will not enter the market for such products until next year. 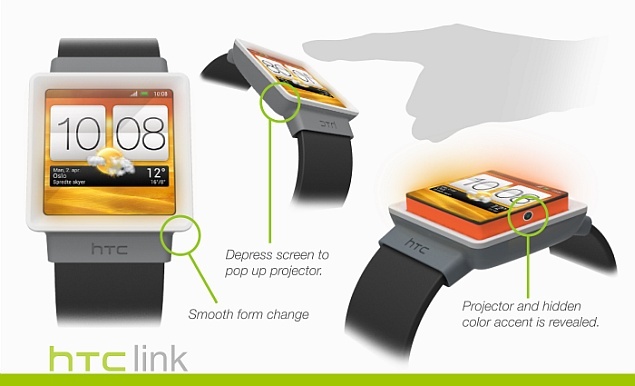 According to Jason Mackenzie, the head of HTC Americas, the company originally had plans to launch a wearable in this time frame. However, the gadget is not ready for the spotlight just yet. Furthermore, Drew Bamford, the man in charge of the HTC Creative Labs team that works on wearables, took a jab at the competition. He pointed to the media that none of the current manufacturers has gotten the wearable device concept right. Included out of the box with the HTC Desire EYE, Eye Experience offers a number of cool features for the phone's cameras including Face-Fusion, Screen Share, Split Capture and Auto Selfie to name a few. In a rush to get the Eye Experience update pushed-out to HTC One M8 users, HTC had to leave out the Crop-Me-In feature that was part of the original package. 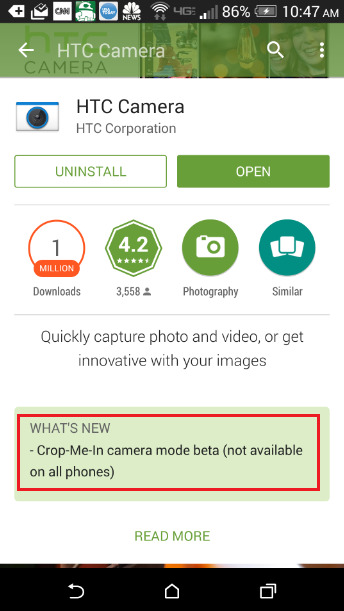 Today, an update to the Android version of the HTC Camera app brings a beta version of the Crop-Me-In feature to HTC One M8 owners. This feature allows you to crop a selfie taken with the front-facing camera into a picture snapped with the rear camera. You can put yourself in the middle of any situation and share the "proof" with your friends and family via social media. HTC is still publishing it's main OEM system Apps on the Play store for easier updates regardless of firmware versions, operator approval. 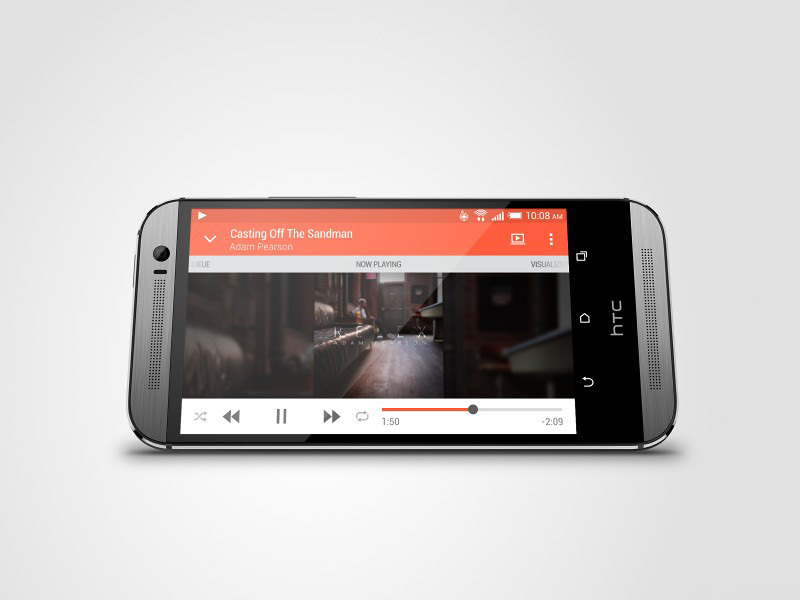 Today, HTC just published it's Video Player App for HTC Sense. 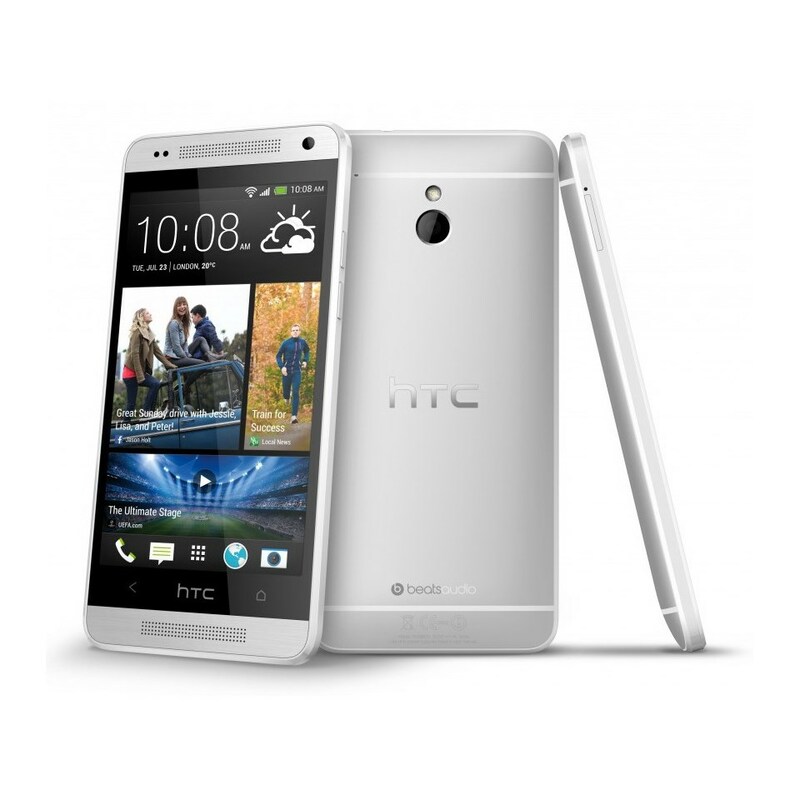 The App is available to a selected HTC devices. 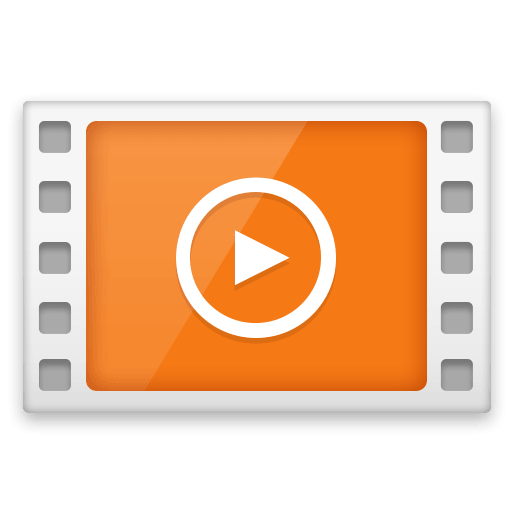 This is the same video player that's built inside HTC's Sense UI layer, with multiple format decoding, gesture controls (two-finger swipes act as FF and RW for example), streaming, still image capturing, and subtitle support. 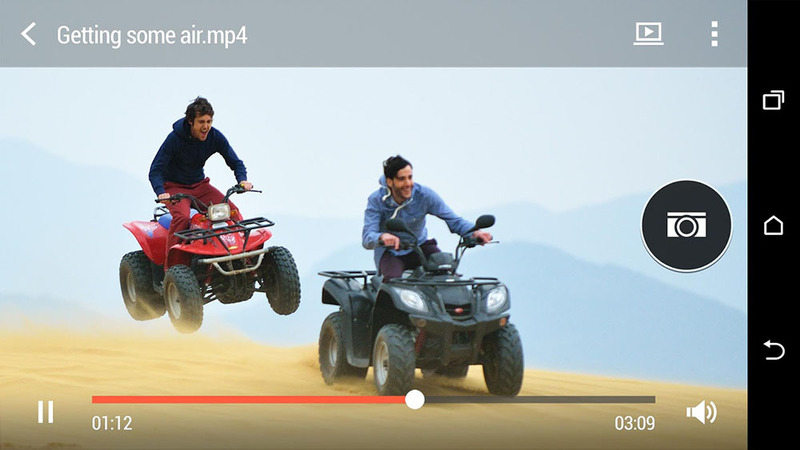 The player also allows a few simple editing tweaks like trimming and playback speed adjustment for slow-motion videos. 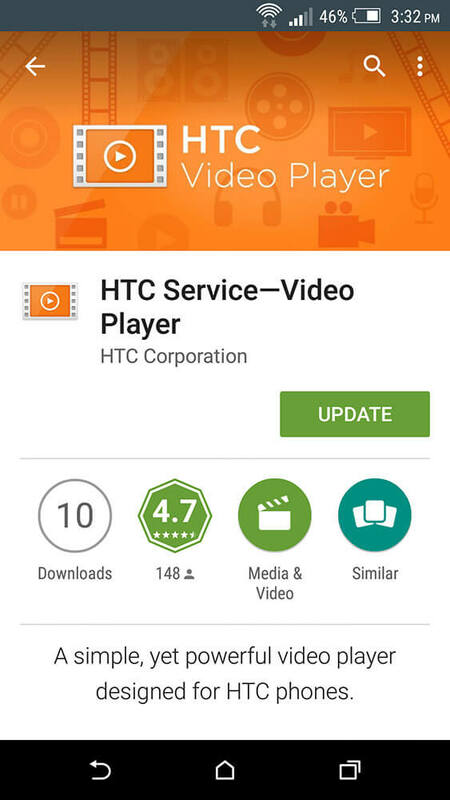 You can download the HTC video player version 6.5 APK from the link below, or wait until the update hits your HTC device via Google Play Store. 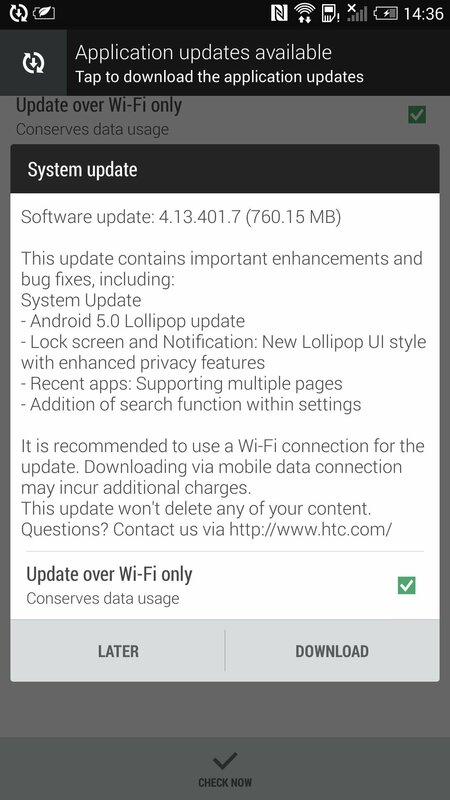 Today, HTC has confirmed its plans on the Android 5.0 Lollipop Update for its latest flagships HTC One M8 and One M7. 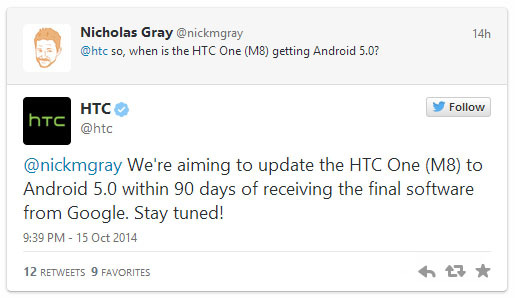 The Official @HTC Twitter account confirmed that the company will release the Lollipop update in 90 days after Google release the final software... which will be during this Month. 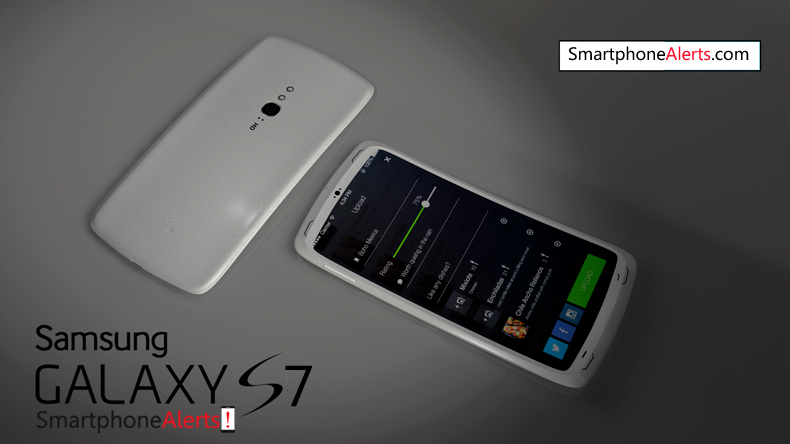 This plans goes for all M8 and M7 devices and variants. 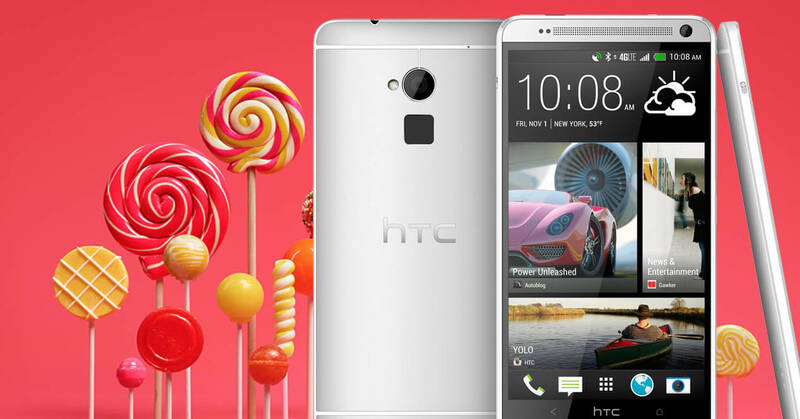 So, you can expect the first Lollipop update to come to your HTC One M8 or One M7 in the first week of February,2015. HTC is reported to adopt Google's Material Design UI on its upcoming version of HTC Sense that will be released with its Android 5.0 update. Samsung faces its first lawsuit over an allegedly exploding Galaxy S7 Edge! Things are really not looking good for Samsung at all as a brand new serious issue has just surfaced in the form of a lawsuit for something that was previously unknown and unheard of. Daniel Ramirez is a construction worker who has filed a lawsuit against the South Korean electronics giant for allegedly selling defective and explosive Galaxy S7 Edge smartphones. He stated that the incident occurred in Ohio, where he was working in a bookstore and the S7 Edge was in his pant pocket. The phone wasn't being charged or even used while it caught fire and caused Daniel to receive second and third degree burns. He tried to grab the smoking smartphone and throw it out of his pocket, which burned his right hand as well. This was followed by the S7 Edge proceeding to literally explode in his pocket causing horrible injuries. 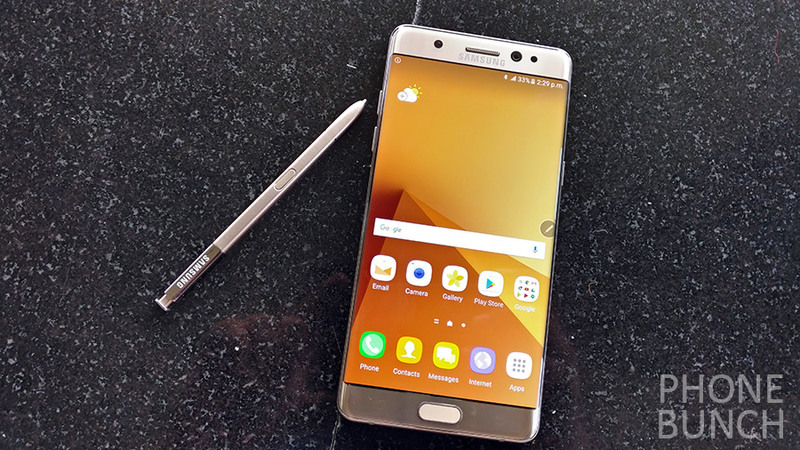 Now, this is an incident that reportedly occurred on May 30, which is more than three months before the Note 7 was even officially revealed. In light of the recently occuring battery related fires originating from the Note 7 and its worldwide recall by the manufacturer, ClassAction.com has taken it upon themselves to sue the OEM over this tragic incident. They want a worldwide recall for the S7 Edge, just like Samsung did with the Note 7. Not only is this the first time that we are hearing about the S7 Edge catching fire and exploding, but this is also the only time that such an unfortunate accident seems to have happened while the phone was not even being charged. We will have to wait and see what Samsung has to say about this. 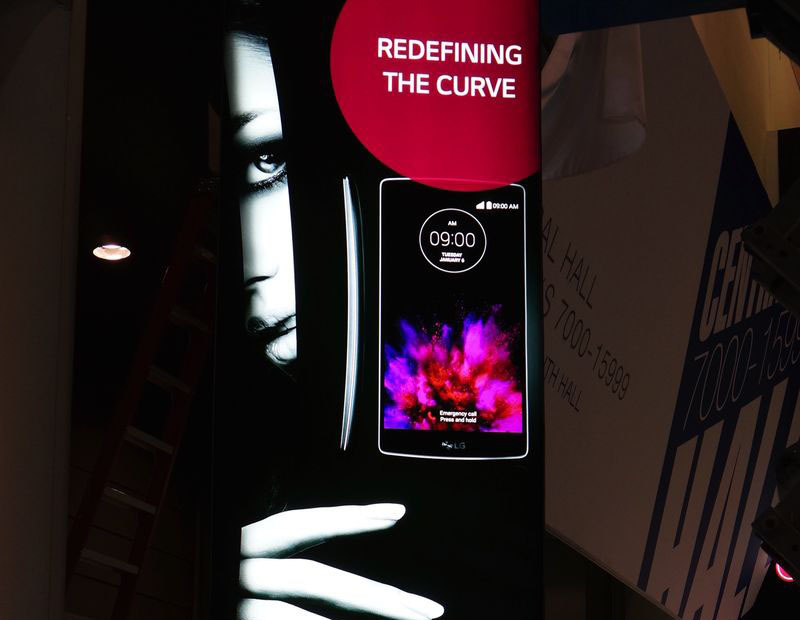 Tags: huawei plans life without android developing its own microsoft begins release windows updates its smartphones running 8.1 qualcomm update its snapdragon 810 cpu design fit samsung's demands [video] samsung published its own galaxy bend test video tesco launching galaxy edge unit into space celebrating its launch first flex photos leaked ahead its ces 2015 announcements htc one dual sim getting its official android 5.0 lollipop update htc one max getting its official android 5.0 lollipop update specs photos price htc announced its first marshmallow powered smartphone onea9 htc bring some its own apps android devices htc reveales its plans wearable devices future htc sense have its own avatar maker feature htc updated its camera app one with crop-me-in feature htc working its own branded android tablet with same nexus design htc has just published its official video player app play store apk download htc revealed its lollipop 5.0 update plans samsung’s profits pummel its lowest point last two years samsung faces its first lawsuit over allegedly exploding galaxy edge! Samsung Electronics has appointed D.J. Koh, the big boss of mobile research and development, as the new chief of the company's mobile communications business. 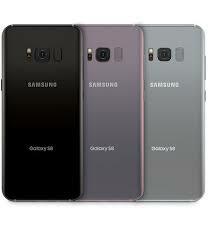 This move comes after setbacks in Samsung's mobile business during the operation period of the former head J.K. Shin, including an underestimation of demand for the Galaxy S6 edge, while overestimating demand for the Galaxy S6 with a non-curved screen. Actually Samsung's growth deteriorated in early 2014 as Apple experienced something of a revival. The demand for its iPhones, particularly in China increased, while low-cost Chinese smartphone makers Xiaomi and Huawei also got boost in sales. Just like the problems faced by Nokia some years ago, Samsung's mid-range smartphones have been getting crushed on both the high end and low end by its competitors. Analysts said that the moves at the mobile division were an apparent admission that the change was very much needed, as they did not expect a new strategy to come up any time soon. According to Chang Sea-jin, Korea Advanced Institute of Science and Technology business professor - "Koh is basically the same person as Shin". Analysts have reported that Samsung needed to ramp up its software and services offerings to rejuvenate its mobile business, but Koh, who has held mobile business roles since 2006, had an engineering background like Shin. 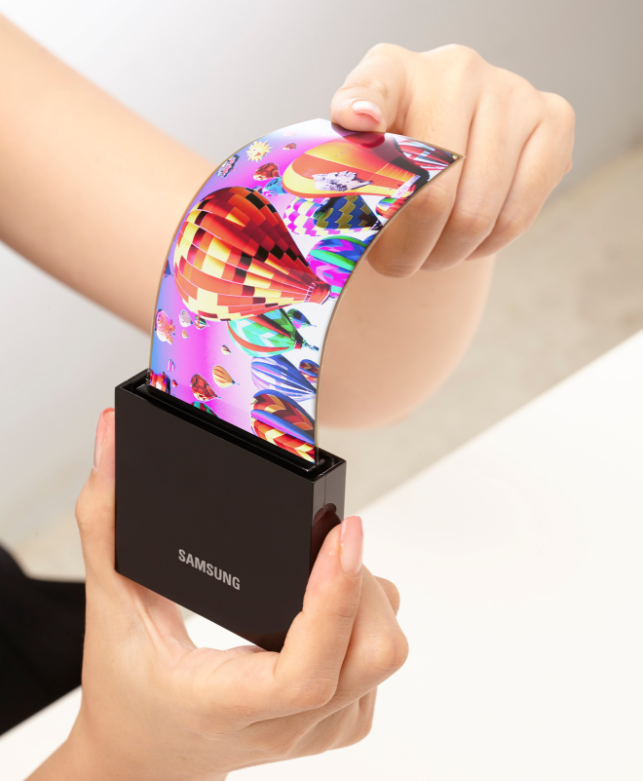 Chang said that "There is no real change and Samsung appears to be continuing on the hardware-centric path". Although the Galaxy Note 7 is not exactly enjoying a good reputation right now due to the faulty and hazardous batteries that some of the units are shipped with, there is no denying that the iris-scanner which the smartphone boasts of is one of its kind at the moment. The good news is that according to DJ Koh, the iris-scanners will also be seen on mid-range devices from Samsung as it becomes more cost-effective to do so, with time. He also mentions that he was personally associated with its development and in the coming months, Samsung will concentrate towards keeping the technology secure from all kind of privacy or security threats that it may encounter. Here are some excerpts from the president of Samsung Mobiles speech at the "Unpacked" event press conference in New York. "We did not put iris scanning in the flagship model just to do 'unlock'. In the long run, through third parties and API, we want to connect it with apps. For mobile banking, we are thinking of applying iris scanning for large transactions, and are already talking with banks in some countries,"
"Through continued cost cutting, iris scanning can trickle down to mid-end models,"
"There is a view that Android is weak in security compared to its competitor and we want to expand software security that can overcome this image"
The beta version of Samsung's latest music application is now available on the Play Store and it's free to download. 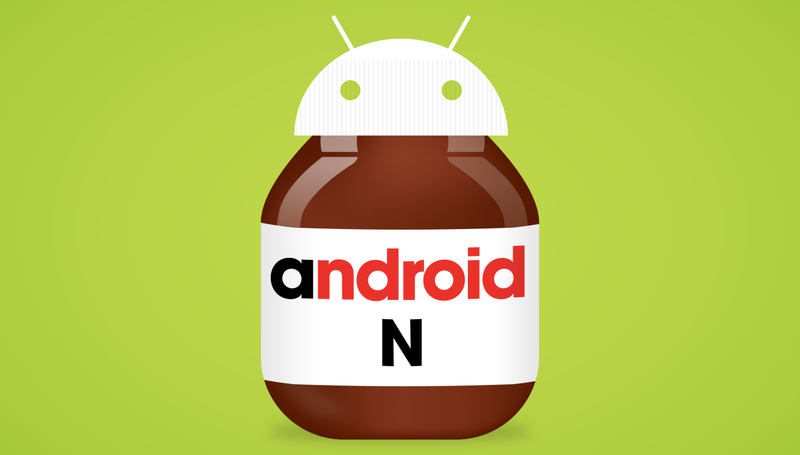 This will make updating the app easier for Samsung as it no longer has to be part of the Samsung's firmware upgrades. 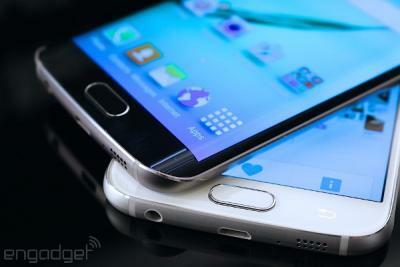 It is an initiative that will make updates for individual Samsung made software more frequent. If you are wondering what is so special about Samsung Music, you might be disappointed as it is similar to most other music apps on the Play Store, excepting the fact that it is made primarily for Samsung devices and optimized accordingly. 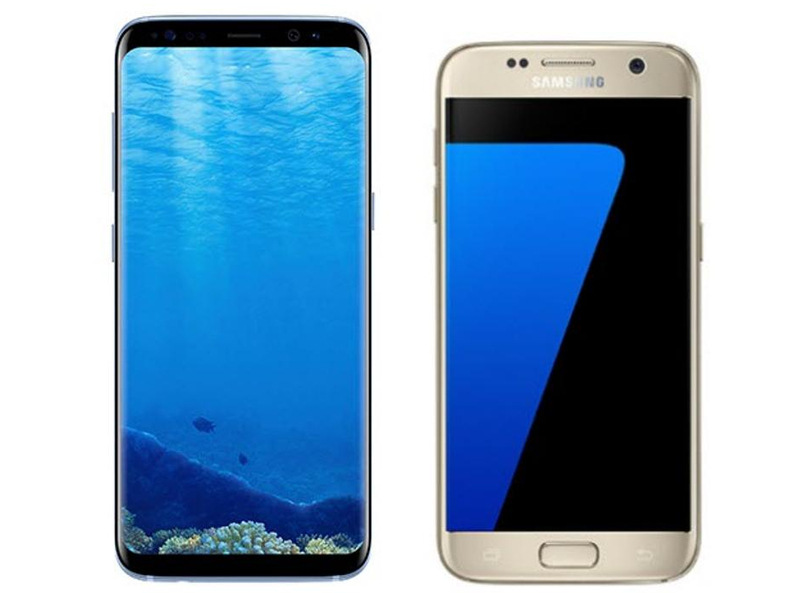 The Galaxy S7 and S7 Edge are the first flagship smartphones from Samsung to come without the default music player pre-installed and this is probably the beginning of a new trend. If you are interested to download and give Samsung Music a try then make sure that your device is running at least Android Marshmallow 6.0 as anything below that is incompatible with it. 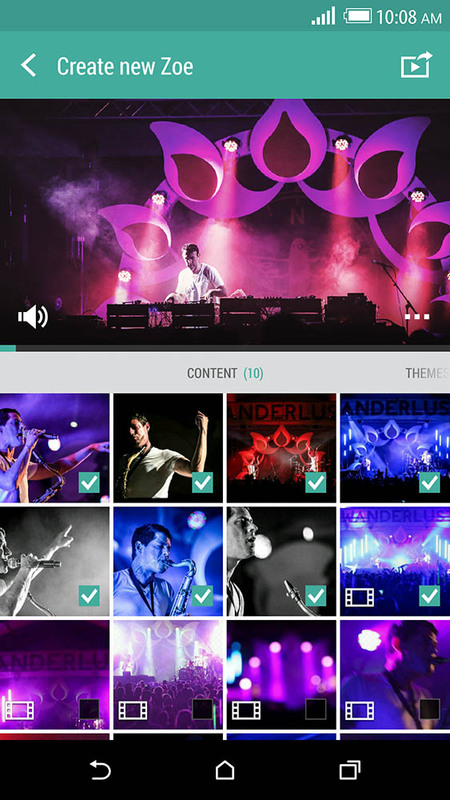 The Samsung music player supports popular formats like WMA, MP3, FLAC and AAC among others. 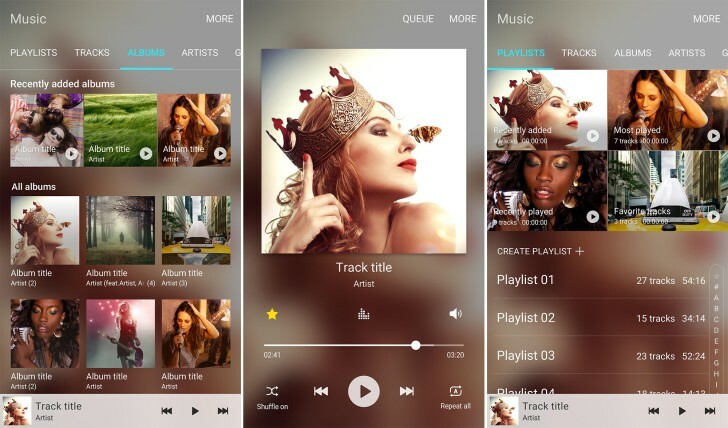 It is also capable of sorting your songs in six categories, namely Artist, Track, Album, Composer, Folder and Genre. Anyone who has used a Samsung device before will feel at home and if you have another compatible device that you want to try it on, feel free to download it now. 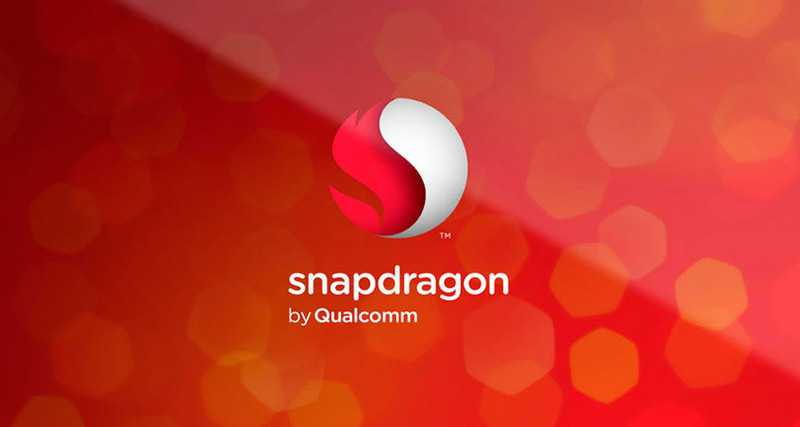 Following the Qualcomm Snapdragon 810 which suffered from initial reports out of Korea's Samsung about overheating in early mock-ups causing a delay in the release of one of their flagship phones, the Snapdragon 820 is expected to re-establish Qualcomm's leadership position in mobile-specific microchips. Samsung develops its own Exynos range of SoC that it puts into model variants, particularly in Asian markets, which it used when Qualcomm came up short with the 810. The Galaxy S6, S6 edge, S6 edge+ and Note 5 all used Samsung's over SoC instead of Qualcomm. However, the latter chip-maker is roaring back with its upcoming 820. 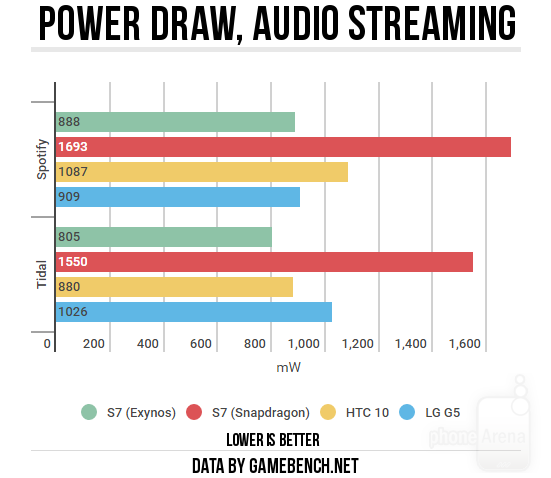 Leaked benchmark scores for both Geekbench and AnTuTu indicate that the Snapdragon 820 is likely to outperform the collection of competitors with their best 2015 releases. The benchmark scores beat the Note 5 and even matched the iPhone 6S Plus in some off-screen tests while lagging a little with the on-screen ones. The test screenshots refer to the SD820 being used on a 6.2-inch smartphone with an eye-gouging 1600x2560 resolution with 4 GB of RAM. Clearly the 820 was being pushed hard with the sheer number of pixels being moved around on the screen during the testing on the Android 6.0 platform. In fact, the number of pixels being managed on-screen far exceeds that of the iPhone S6 Plus which likely explains the on-screen under-performance compared to the Apple model. 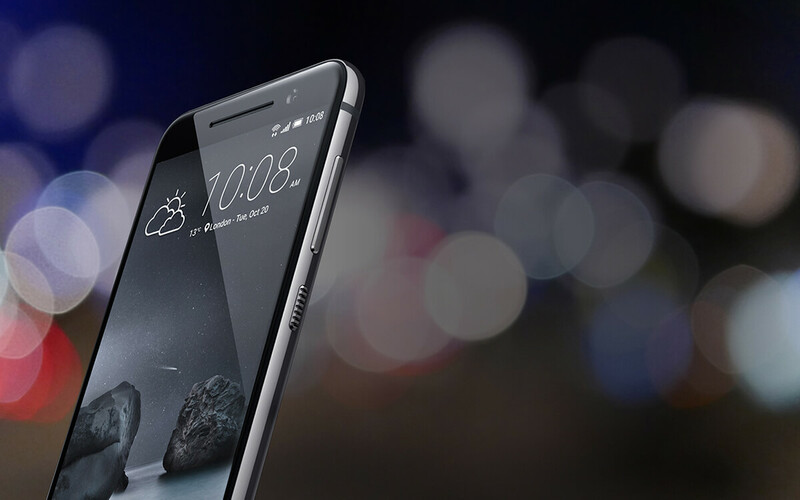 LeTV announced the Le Max Pro will use the 820, but Samsung is also expected to release details about the Galaxy S7 in a couple of weeks which is likely to adopt the new Qualcomm technology in some of its phone variants. Samsung may not only shift its headquarters from London, but it may just leave the United Kingdom altogether. As you can probably guess, if this happens, it would be a direct result of the UK leaving the European Union (aka Brexit). Of course, Europe as a market has not lately been as profitable as it used to be for Samsung. 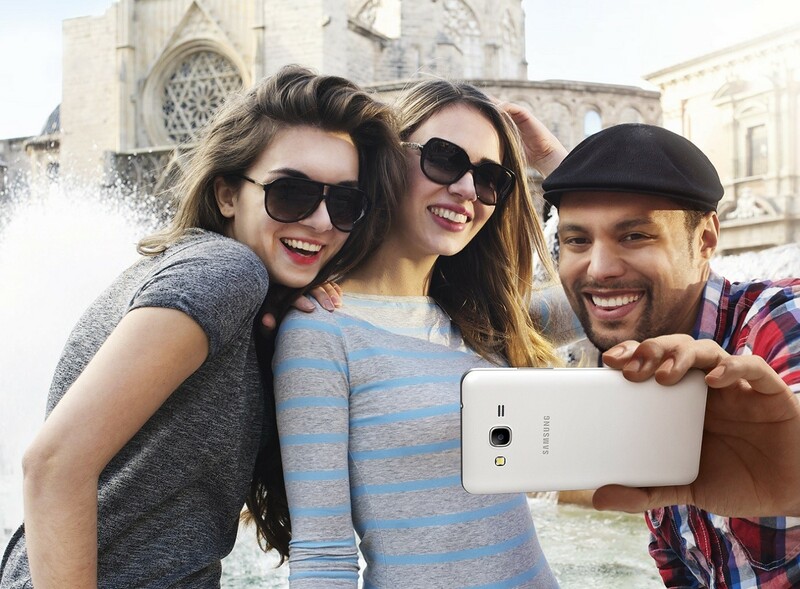 In the year 2013, Samsung boasted of a 21% share in the total mobile sales number throughout the entire continent. Things however, went downhill from there as that share stands at only 12.8% right now. Samsung also did not release the Galaxy Note 5 in Europe last year and had stopped selling cameras, camcorders and associated accessories in there altogether. 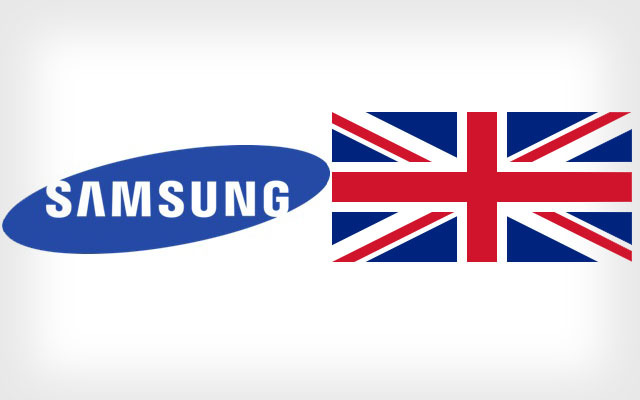 It is evident that Samsung isn't exactly making any headway in Europe to speak of, but couple that with the fact that Britain may now impose heavier import taxes on them and the decision to leave the UK starts to seem like an inevitable course for the Korean company. As the United Kingdom will no longer have to follow the tariff regulations and import duty models laid out by the Union, the general consensus is that taxes will now increase for all foreign companies operating within the nation. 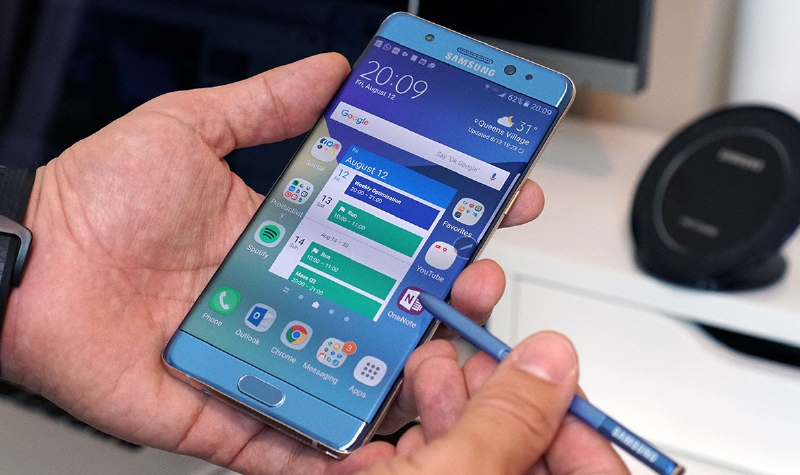 Even though it was a disaster when a few of the Samsung Galaxy Note 7 smartphones started to catch fire all over the world, many have applauded the Korean electronics giant on their decision to recall all the 2.5 million smartphones that they had shipped. However, as is often the case in such scenarios, some of the customers have decided to disregard the warnings issued by flight authorities, tech-experts and the manufacturer themselves. 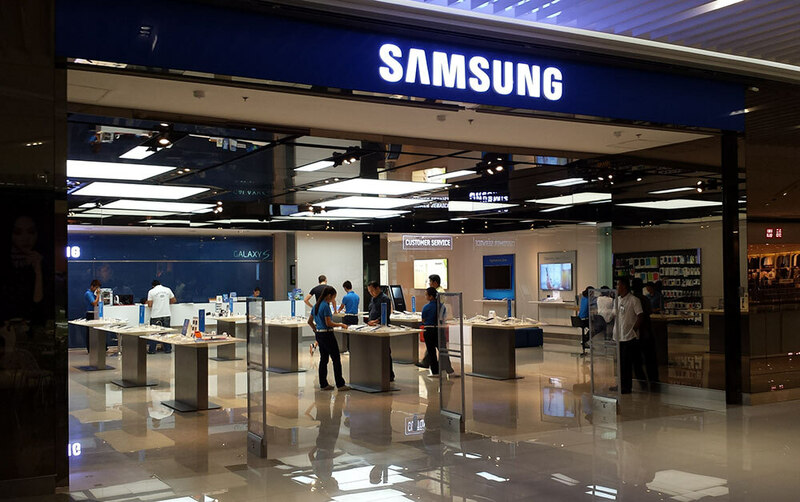 While it is questionable what would prompt such negligence, in spite of the free refund/replacement scheme employed by Samsung, many customers are of the opinion that the incidents are far too low and in between to be concerned about it. Nevertheless, Samsung has decided to limit the maximum charging point to 60% of the Note 7's full battery capacity in an OTA update that will be released shortly in South Korea. This news was confirmed when the Seoul Shinmun (a popular South Korean newspaper) published the message from Samsung on its front page. This is a temporary fix until all the customers turn in their smartphones for free replacements, which should begin by the end of the month. According to Yonhap News Agency, the same update could also make its way to all other nations as well, but we will have to wait and see. In the meanwhile, we advise you to stop using the Galaxy Note 7 and get it replaced/refunded as soon as possible. 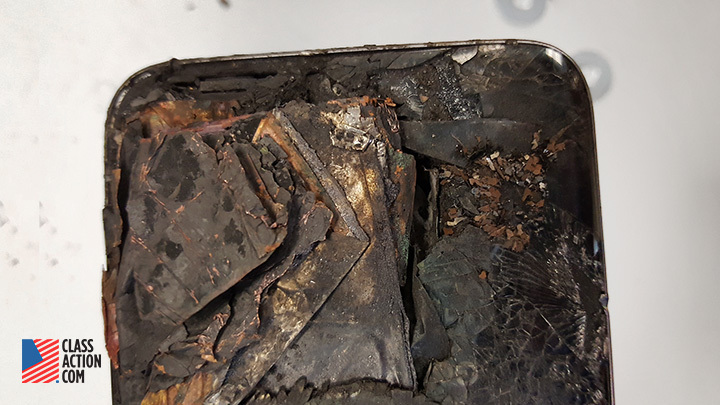 Although some have pointed out that the chances of your Note 7 exploding are similar to that of winning the lottery, this is one lottery that you may not want to win! 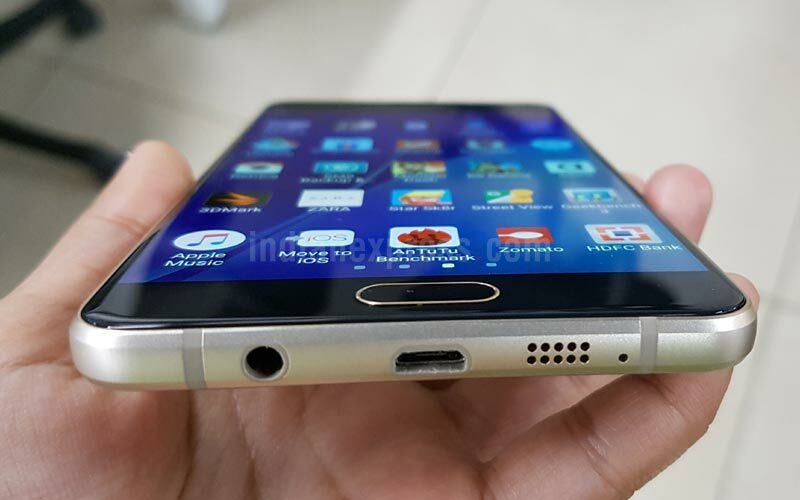 The Galaxy A7-series is a popular mid-ranger from Samsung and its 2017 edition is on the verge of being launched. The latest news regarding the dual SIM handset is that it just got certified for Bluetooth v4.2 and while this isn't in itself a very revealing news, it does indicate that Samsung may launch it as early as December. In fact, rumor has it that Samsung could launch the A3 (2017) and the A5 (2017) in December as well. Just like most upcoming smartphones these days, there isn't much left to "unveil" officially as we already have a pretty good idea about the internals of the A7 (2017), thanks to the multiple leaks and rumors. Here's a list of what we have heard so far and the chances are that they are mostly accurate. Samsung has now confirmed what the rumors were speculating for months now; the Galaxy Note 7 is coming back. On their official blog, Samsung mentioned that the millions (4.3 million) of Note 7 smartphones recalled during the infamous call back will be recycled in an environmentally friendly way. 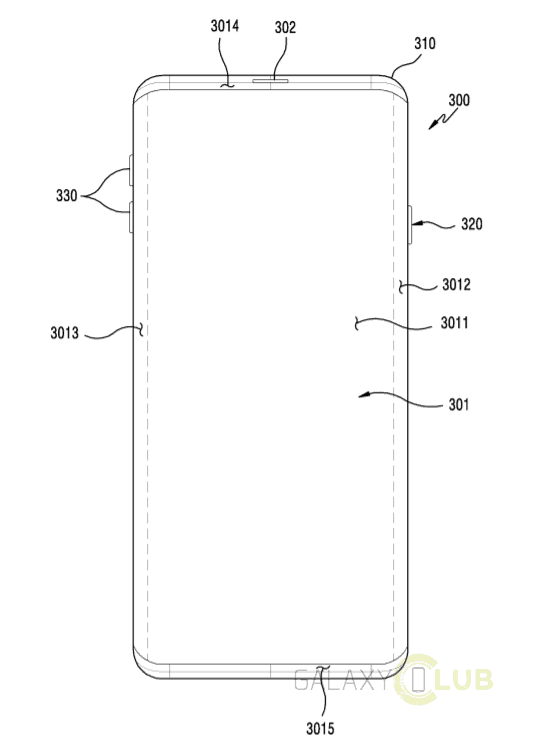 The procedure will involve three of the following methods. 1. Refurbished variants of the Note 7 smartphones will be reintroduced in certain regions as rental phones. 2. 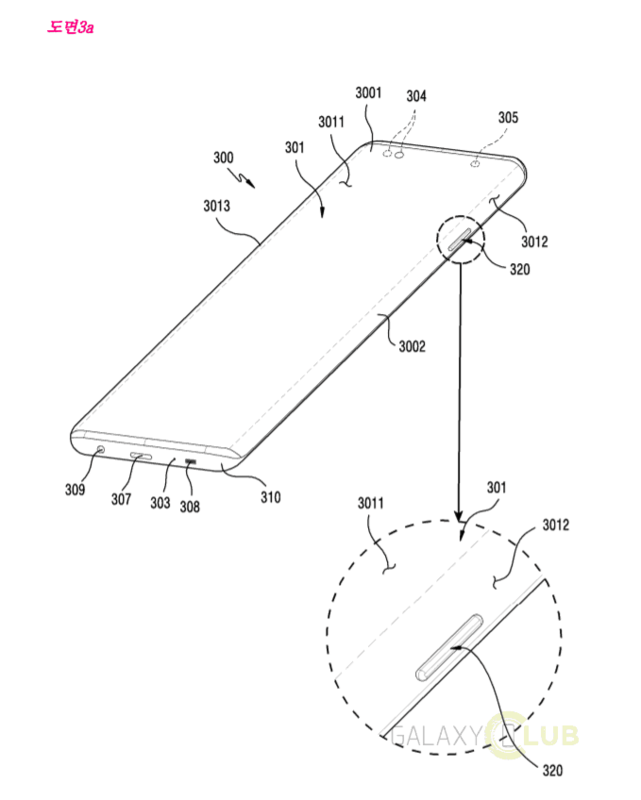 Components and parts from the rest of the units will be removed and reused in new smartphones. 3. The metal and the other non-technical components will be removed and reused as well in a way that doesn't impact the environment. In case you are wondering if the refurbished Note 7 is coming to your country, let us inform you that Samsung has mentioned it to be only a possibility if the local authorities permit it and demand for the phone is high enough in the region. 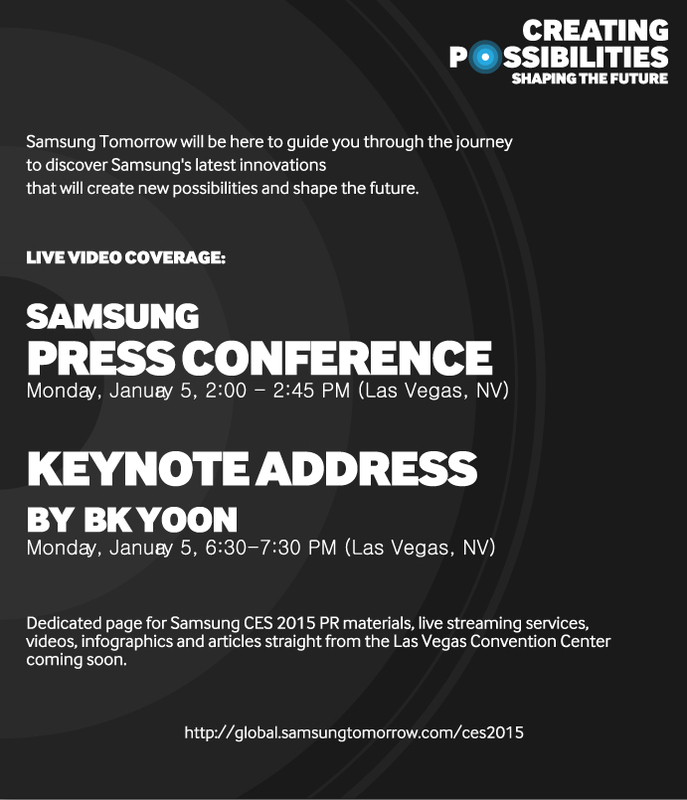 Also, it has been confirmed that Samsung won't be releasing these units in the US. This answers the question asked by Greenpeace during the MWC in February, concerning what the company's plans were regarding the discarded Note 7 handsets. It might not have been even released in your country yet, but the Galaxy Tab S3 is already receiving the first official update in the regions where it is available. The update is the April security patch which contains both the Android SMR for the month and Samsung's own little tweaks to cull out bugs and security gaps. 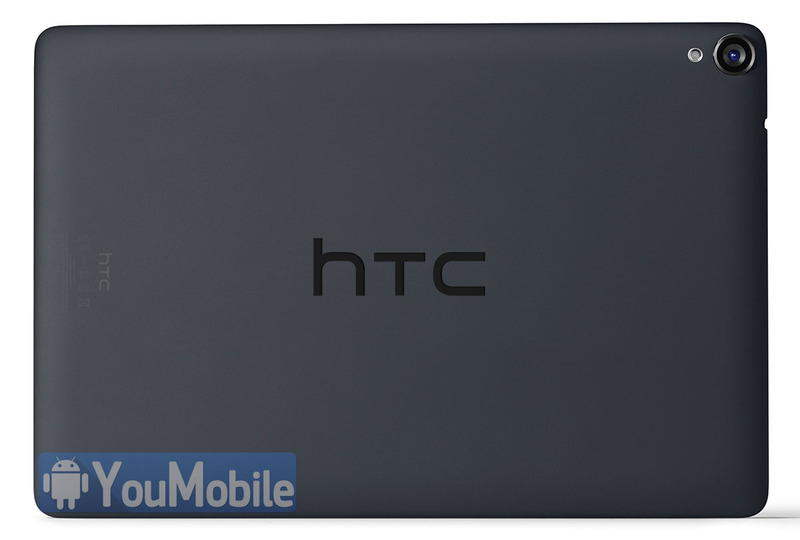 The OTA package should arrive on your tablet anytime now, with the build number T825XXU1AQD6. 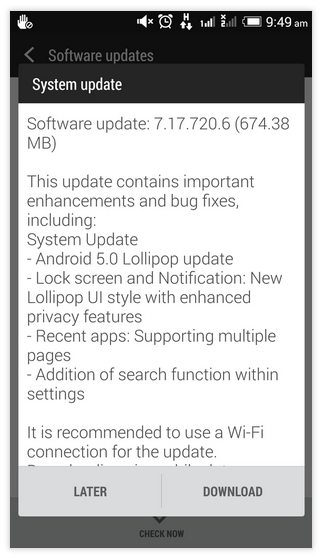 Given that the Galaxy Tab S3 already runs on the latest version of Android Nougat 7.0 that has yet been released by Samsung so far for any device, it isn't really a surprise that the update contains only the monthly patch. Besides, there have been no reports of the Tab S3 showing any signs of faltering anywhere to warrant a major firmware upgrade either. Although the SD 820 SoC powering the device is over a year old now, the waning market of Android tablets doesn't really have anything better to offer and therefore, it is arguably the number one Android tablet in the market, with the only other competition coming from the much older Google Pixel C.
If you are impatient about the update, feel free to try out some of the firmware packages for the Tab S3 from our firmware section. 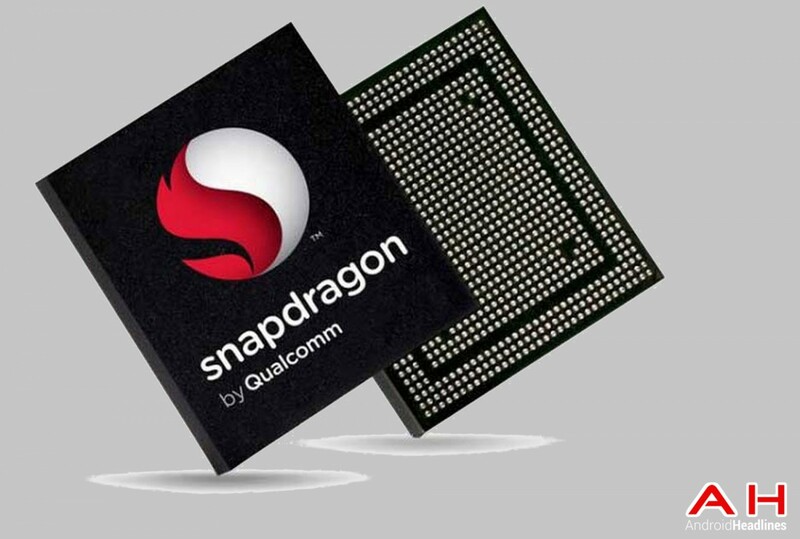 Qualcomm has Adreno and ARM has Mali, but Exynos is still lacking a GPU of its own. Granted that the Mali G-71 is the most powerful mobile GPU on the market and it's coupled exclusively with the Exynos 8895 CPU, it still isn't made by Samsung and according to a report, Samsung isn't going to settle for that, at least not in the near future. 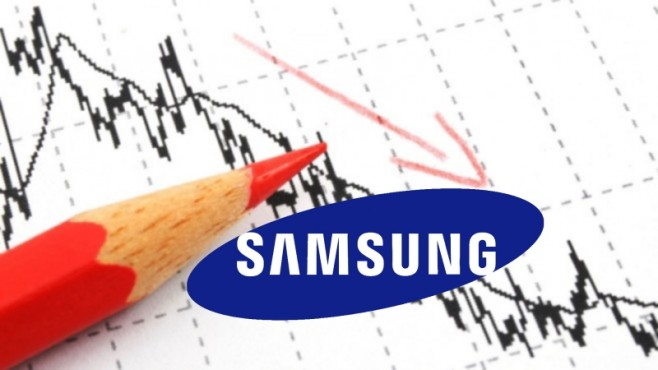 The report from Weibo, brought forward by famous Chinese leakster Ice Universe states that Samsung is done with relying on other companies to fulfil its GPU needs and is currently working on a solution of its won. As of now, it's only being referred to as the S-GPU; a name that will probably not make it to the final cut! Even if the rumor is true and Samsung does end up successfully making its own smartphone/tablet GPU, it is highly unlikely that it will be making its debut anytime soon or before the Galaxy S9 is released next year. 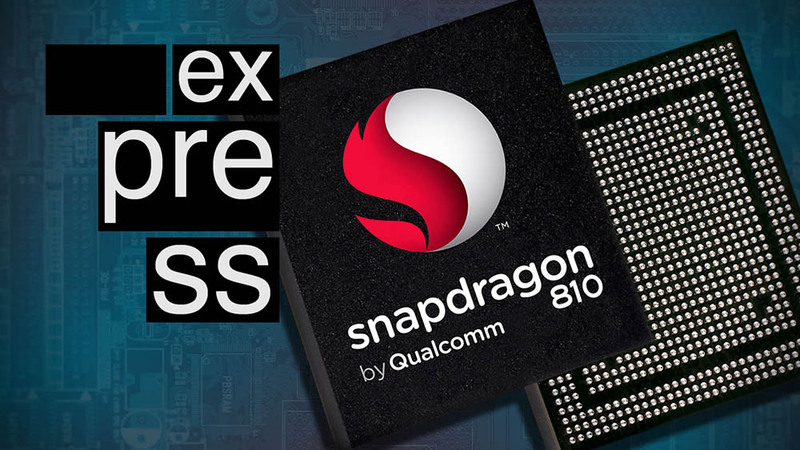 In all likelihood, the S-GPU will be released with the Exynos 9 series of chips. We will keep you updated as more news and info pops up. We got over the Galaxy S8 fever about two months ago when Samsung finally made everything official and after a period of lull, the Galaxy Note 8 rumors are slowly starting to build up. 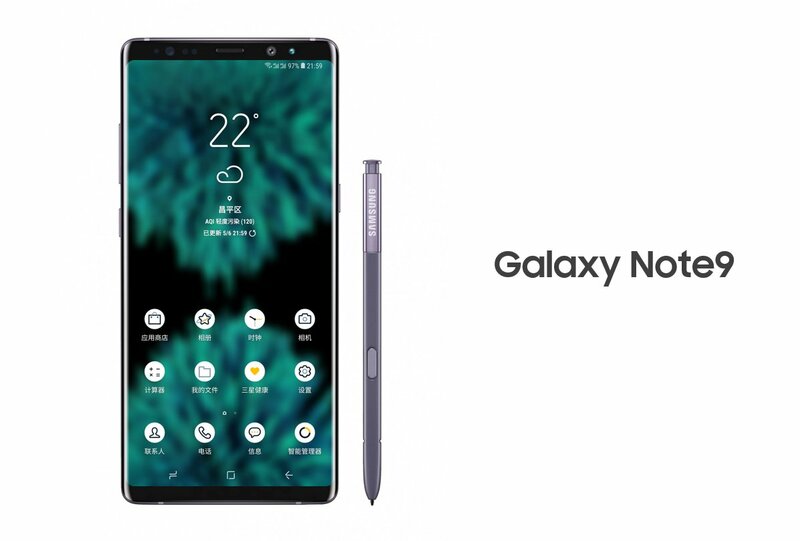 In fact, we had seen the first renders of the Note 8 much earlier this year than we did in case of the Note 7 last year. 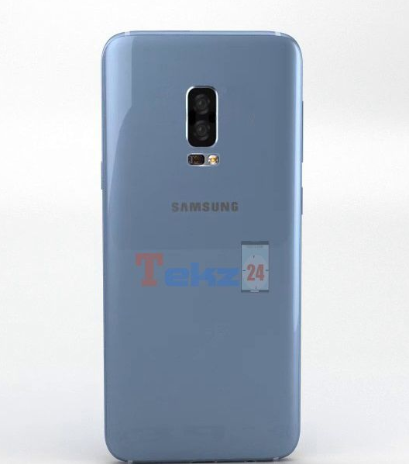 To add to this alleged least of leaks, we have another picture today that seems to be showing the Galaxy Note 8 in the attractive Blue Coral color. 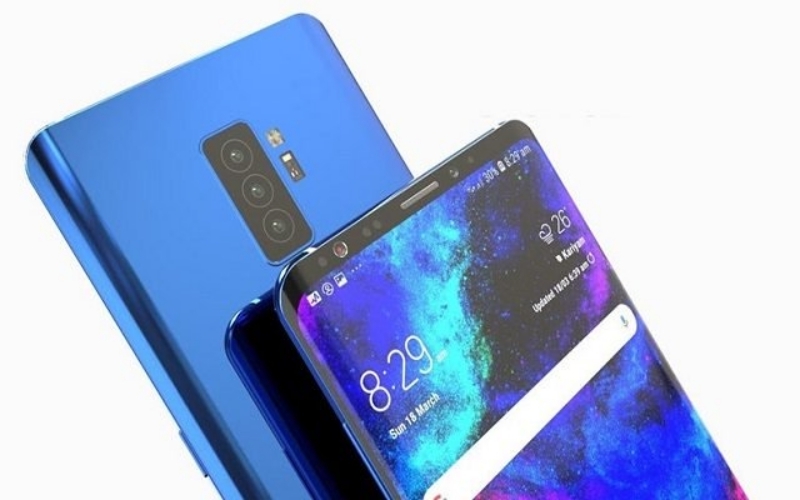 Given that the famous Blue Coral color debuted with the infamous Galaxy Note 7 last year, it would in fact be quite natural if the upcoming Note was launched in its blue avatar right off the bat. 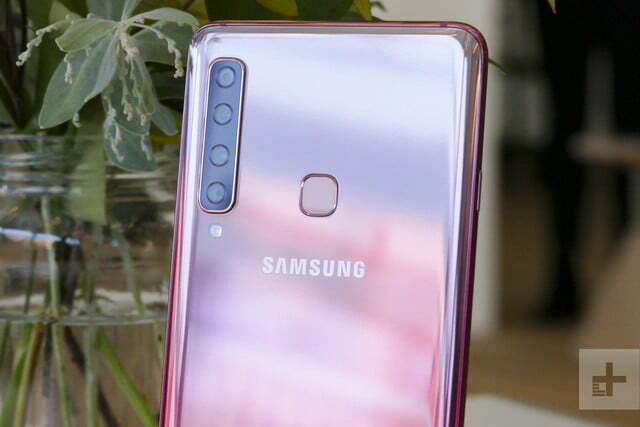 The only gripe about the render which you see here is the fact that the fingerprint scanner is clearly not on its back and that doesn't make sense. 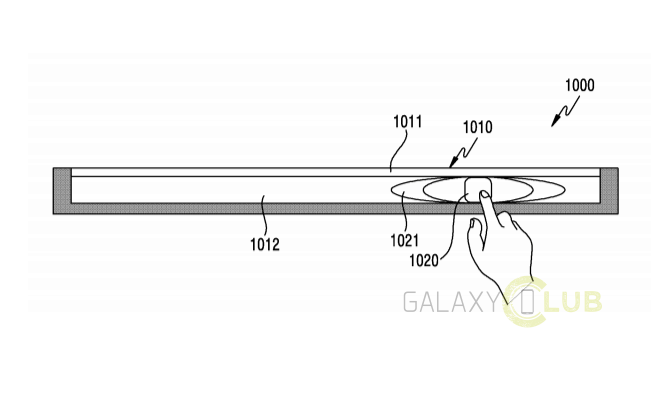 Maybe the render was imagined with an under-the-glass fingerprint scanner before the news about the technology's unavailability was leaked. Pink may not be the manliest color out there, but Samsung never said that the Galaxy S8+ was only meant for men either! 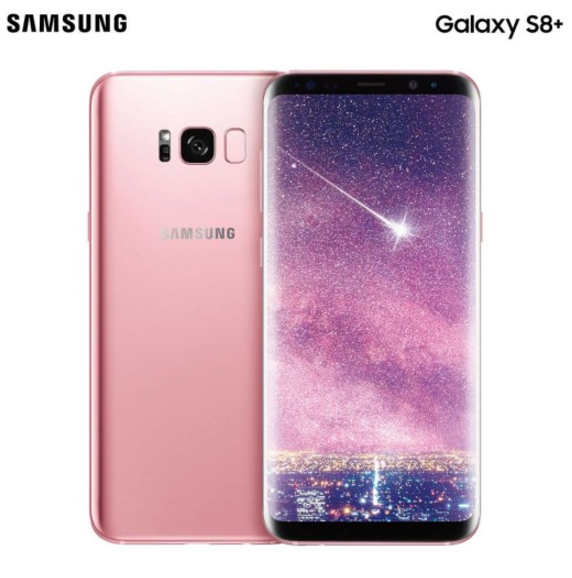 Samsung is about to release a Pink Rose colored variant of the Galaxy S8+ in Taiwan and in spite of my personal prejudice against pink colored phones, one has to admit that it does look beautiful. According to reports, it will be a limited edition handset that will only be available exclusively via Samsung's own online store and nowhere else. Once the stocks run out, allegedly, Samsung won't be making any more of these. 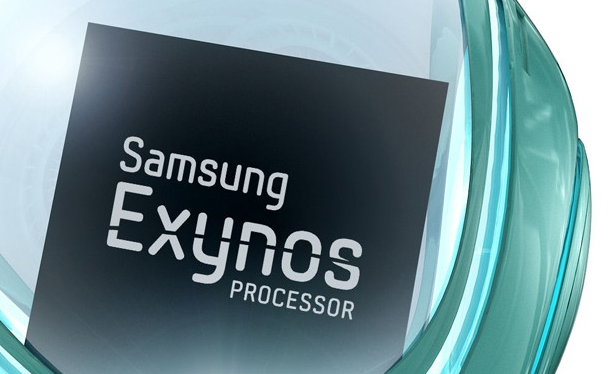 This will be the Exynos 8895 version and all other specifications will be the same, as expected. The price of the pink smartphone will be roughly $920 or TW 27,900; which is the same as the price of any other color variants of the S8+ in the country. On an interesting side note, the Coral Blue, orchid Grey and Maple Gold colors have been renamed as Ice Lake Blue, Smoked Purple Grey and Quicksand Gold in Taiwan for some reason. If you like the color and you are not in Taiwan, we are sorry to report that there has been no news regarding whether or not the Rose Pink color will make it to any other nation. Is the Galaxy S8 Failing to Succeed As Well as Its Predecessor? Let's get something out of the way first; Samsung is not struggling by any means as it posted the highest profits ever this quarter, in spite of all the bad mojo that had been following them for a while now. In fact, even in its mobile department, Samsung is leading in all sectors in terms of sales figures across the world. Having said all that, it looks like Samsung's current premier handset is falling behind in sales numbers, as compared to the previous generation Galaxy S7. Things didn't start off like that though as the Galaxy S8 and S8 Plus broke all records as far as pre-orders were concerned. Now that the initial hype is over, reports are coming in with news that the Galaxy S8 is actually falling behind its predecessor in terms of sales now. According to The Bell, 9.8 million Galaxy S8/S8 Plus handsets have been sold in the two months following release; unfortunately, that number is roughly 20% lesser than the Galaxy S7/S7 Edge's 12 million sales figure within the same span of time last year. We will have to wait and see if the sales pick up again. 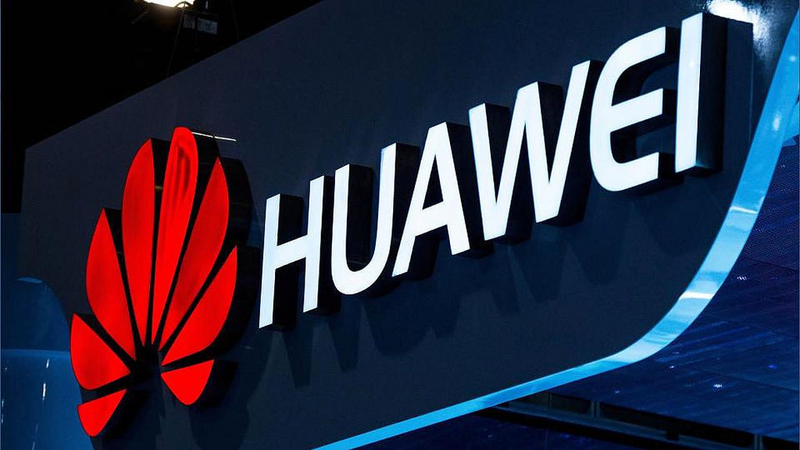 Tags: huawei plans life without android developing its own microsoft begins release windows updates its smartphones running 8.1 qualcomm update its snapdragon 810 cpu design fit samsung's demands [video] samsung published its own galaxy bend test video tesco launching galaxy edge unit into space celebrating its launch first flex photos leaked ahead its ces 2015 announcements htc one dual sim getting its official android 5.0 lollipop update htc one max getting its official android 5.0 lollipop update specs photos price htc announced its first marshmallow powered smartphone onea9 htc bring some its own apps android devices htc reveales its plans wearable devices future htc sense have its own avatar maker feature htc updated its camera app one with crop-me-in feature htc working its own branded android tablet with same nexus design htc has just published its official video player app play store apk download htc revealed its lollipop 5.0 update plans samsung’s profits pummel its lowest point last two years samsung faces its first lawsuit over allegedly exploding galaxy edge! samsung electronics appoints its new smartphone boss iris-scanner make its way mid-range samsung smartphones well vrs design launches its range samsung galaxy note cases can once again see smartphone renders samsung galaxy exynos version beats its snapdragon counterpart terms battery life samsung releases its own music app google play store qualcomm snapdragon 820 expected give iphone plus' run its money samsung may shift its headquarters london somewhere else result brexit temporary fix explosive samsung galaxy note smartphones its way galaxy bring its own version live photos with samsung ventures into automobile industry with its acquisition harman samsung galaxy 2017 gets its bluetooth certification samsung announced its press conference schedule ces 2015 samsung may lose its leadership position smartphone market front camera with autofocus could make its way onto galaxy curved edge display could make its way onto samsung galaxy a-series samsung confirms leaks with galaxy s8+ support page its indian site galaxy note making comeback its official galaxy tab gets its first official update samsung snatches sid award its quad-edge flexible oled display samsung likely working manufacturing its own gpu galaxy note its coral blue avatar leaked galaxy s8+ its rose pink variant enters taiwanese market galaxy failing succeed well its predecessor? The Galaxy S9 and S9+ are out and about, so that leaves us looking forward to rumors about the upcoming Galaxy Note 9. While the release is still months away, that doesn't mean we have not been hearing rumors about it already. Today however, what we have for you is more than just a rumor, because it really is about the Galaxy Note 9, which has made yet another appearance on the Geekbench benchmarking app, confirming the previously seen CPU (Snapdragon 845) and OS (Android 8.1.0). 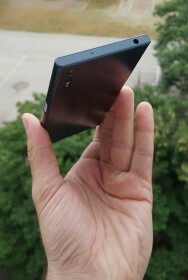 What is more revealing is the leak by famous Leakster Ice Universe which stated that the Note 9 will actually be 2mm shorter than the current gen Note 8. The shorter height means that the Note 9 will have less bezel than the Note 8 and that is to be expected, given that the S9 and S9+ already has smaller bezels than their predecessors as well. The image you see here is actually a render supplied by the leakster himself and not an official one mind you. 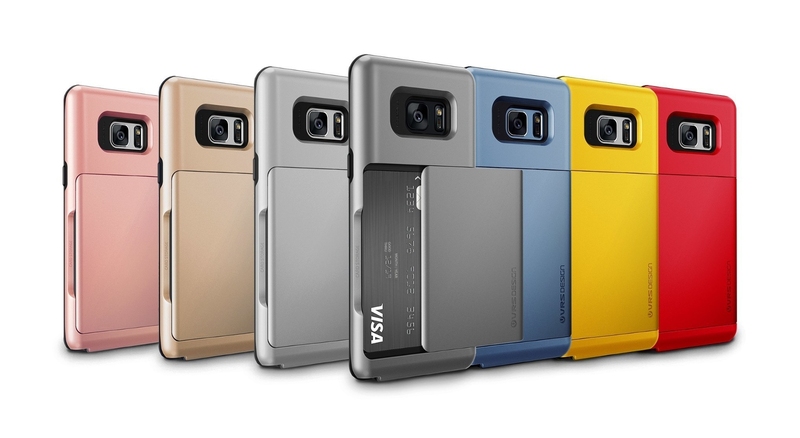 Nevertheless, it is more than likely that we will see something very close to this design when the Note 9 is launched in August. 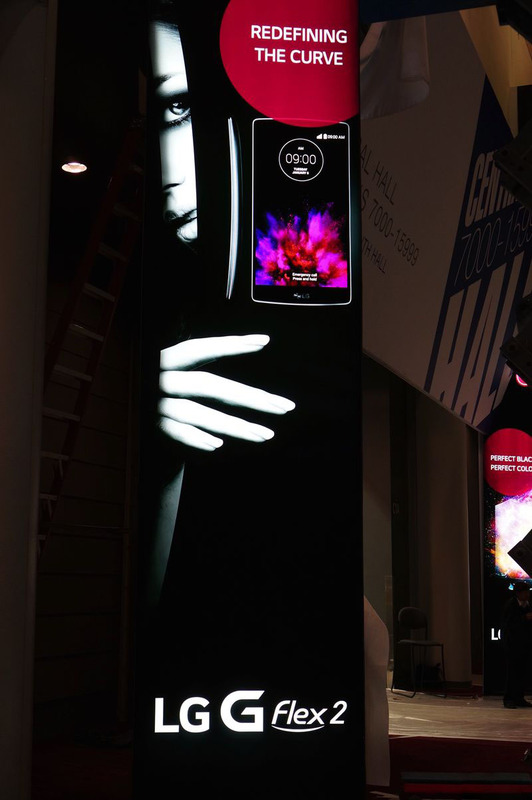 Tags: huawei plans life without android developing its own microsoft begins release windows updates its smartphones running 8.1 qualcomm update its snapdragon 810 cpu design fit samsung's demands [video] samsung published its own galaxy bend test video tesco launching galaxy edge unit into space celebrating its launch first flex photos leaked ahead its ces 2015 announcements htc one dual sim getting its official android 5.0 lollipop update htc one max getting its official android 5.0 lollipop update specs photos price htc announced its first marshmallow powered smartphone onea9 htc bring some its own apps android devices htc reveales its plans wearable devices future htc sense have its own avatar maker feature htc updated its camera app one with crop-me-in feature htc working its own branded android tablet with same nexus design htc has just published its official video player app play store apk download htc revealed its lollipop 5.0 update plans samsung’s profits pummel its lowest point last two years samsung faces its first lawsuit over allegedly exploding galaxy edge! samsung electronics appoints its new smartphone boss iris-scanner make its way mid-range samsung smartphones well vrs design launches its range samsung galaxy note cases can once again see smartphone renders samsung galaxy exynos version beats its snapdragon counterpart terms battery life samsung releases its own music app google play store qualcomm snapdragon 820 expected give iphone plus' run its money samsung may shift its headquarters london somewhere else result brexit temporary fix explosive samsung galaxy note smartphones its way galaxy bring its own version live photos with samsung ventures into automobile industry with its acquisition harman samsung galaxy 2017 gets its bluetooth certification samsung announced its press conference schedule ces 2015 samsung may lose its leadership position smartphone market front camera with autofocus could make its way onto galaxy curved edge display could make its way onto samsung galaxy a-series samsung confirms leaks with galaxy s8+ support page its indian site galaxy note making comeback its official galaxy tab gets its first official update samsung snatches sid award its quad-edge flexible oled display samsung likely working manufacturing its own gpu galaxy note its coral blue avatar leaked galaxy s8+ its rose pink variant enters taiwanese market galaxy failing succeed well its predecessor? shorter galaxy note makes its appearance geekbench in-display fingerprint scanner make its way galaxy s10? 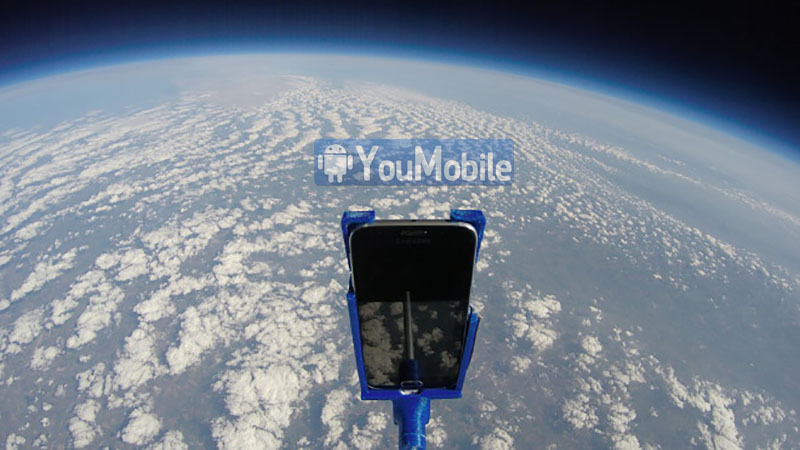 Tags: huawei plans life without android developing its own microsoft begins release windows updates its smartphones running 8.1 qualcomm update its snapdragon 810 cpu design fit samsung's demands [video] samsung published its own galaxy bend test video tesco launching galaxy edge unit into space celebrating its launch first flex photos leaked ahead its ces 2015 announcements htc one dual sim getting its official android 5.0 lollipop update htc one max getting its official android 5.0 lollipop update specs photos price htc announced its first marshmallow powered smartphone onea9 htc bring some its own apps android devices htc reveales its plans wearable devices future htc sense have its own avatar maker feature htc updated its camera app one with crop-me-in feature htc working its own branded android tablet with same nexus design htc has just published its official video player app play store apk download htc revealed its lollipop 5.0 update plans samsung’s profits pummel its lowest point last two years samsung faces its first lawsuit over allegedly exploding galaxy edge! samsung electronics appoints its new smartphone boss iris-scanner make its way mid-range samsung smartphones well vrs design launches its range samsung galaxy note cases can once again see smartphone renders samsung galaxy exynos version beats its snapdragon counterpart terms battery life samsung releases its own music app google play store qualcomm snapdragon 820 expected give iphone plus' run its money samsung may shift its headquarters london somewhere else result brexit temporary fix explosive samsung galaxy note smartphones its way galaxy bring its own version live photos with samsung ventures into automobile industry with its acquisition harman samsung galaxy 2017 gets its bluetooth certification samsung announced its press conference schedule ces 2015 samsung may lose its leadership position smartphone market front camera with autofocus could make its way onto galaxy curved edge display could make its way onto samsung galaxy a-series samsung confirms leaks with galaxy s8+ support page its indian site galaxy note making comeback its official galaxy tab gets its first official update samsung snatches sid award its quad-edge flexible oled display samsung likely working manufacturing its own gpu galaxy note its coral blue avatar leaked galaxy s8+ its rose pink variant enters taiwanese market galaxy failing succeed well its predecessor? 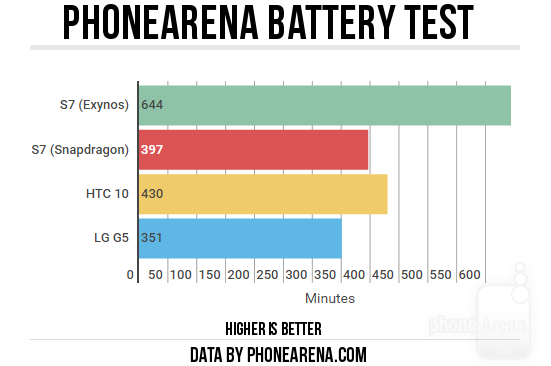 shorter galaxy note makes its appearance geekbench in-display fingerprint scanner make its way galaxy s10? infamous notch may make its debut samsung phone but it’s what think! 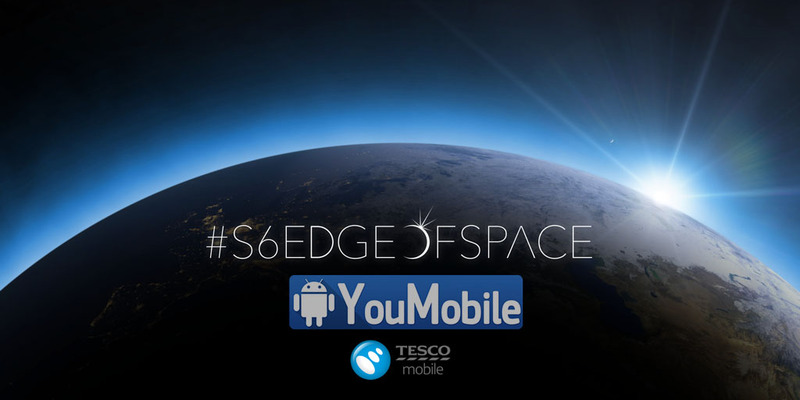 Tags: huawei plans life without android developing its own microsoft begins release windows updates its smartphones running 8.1 qualcomm update its snapdragon 810 cpu design fit samsung's demands [video] samsung published its own galaxy bend test video tesco launching galaxy edge unit into space celebrating its launch first flex photos leaked ahead its ces 2015 announcements htc one dual sim getting its official android 5.0 lollipop update htc one max getting its official android 5.0 lollipop update specs photos price htc announced its first marshmallow powered smartphone onea9 htc bring some its own apps android devices htc reveales its plans wearable devices future htc sense have its own avatar maker feature htc updated its camera app one with crop-me-in feature htc working its own branded android tablet with same nexus design htc has just published its official video player app play store apk download htc revealed its lollipop 5.0 update plans samsung’s profits pummel its lowest point last two years samsung faces its first lawsuit over allegedly exploding galaxy edge! samsung electronics appoints its new smartphone boss iris-scanner make its way mid-range samsung smartphones well vrs design launches its range samsung galaxy note cases can once again see smartphone renders samsung galaxy exynos version beats its snapdragon counterpart terms battery life samsung releases its own music app google play store qualcomm snapdragon 820 expected give iphone plus' run its money samsung may shift its headquarters london somewhere else result brexit temporary fix explosive samsung galaxy note smartphones its way galaxy bring its own version live photos with samsung ventures into automobile industry with its acquisition harman samsung galaxy 2017 gets its bluetooth certification samsung announced its press conference schedule ces 2015 samsung may lose its leadership position smartphone market front camera with autofocus could make its way onto galaxy curved edge display could make its way onto samsung galaxy a-series samsung confirms leaks with galaxy s8+ support page its indian site galaxy note making comeback its official galaxy tab gets its first official update samsung snatches sid award its quad-edge flexible oled display samsung likely working manufacturing its own gpu galaxy note its coral blue avatar leaked galaxy s8+ its rose pink variant enters taiwanese market galaxy failing succeed well its predecessor? 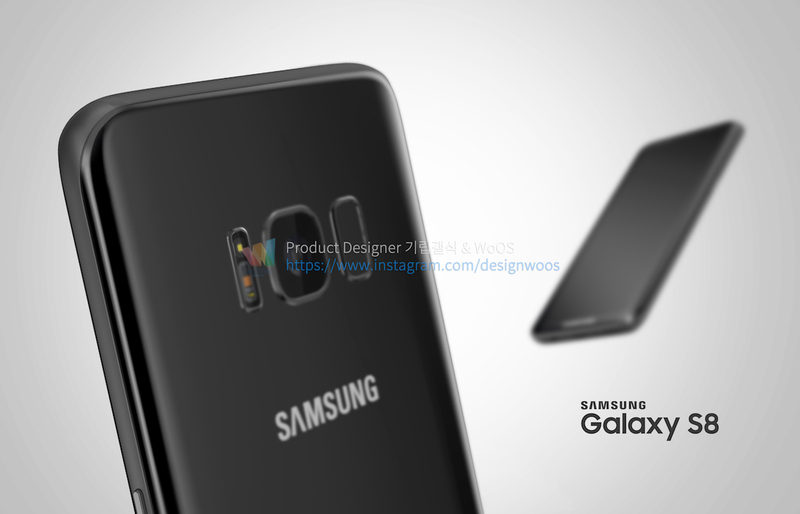 shorter galaxy note makes its appearance geekbench in-display fingerprint scanner make its way galaxy s10? infamous notch may make its debut samsung phone but it’s what think! how like galaxy (2018) its quad camera setup? 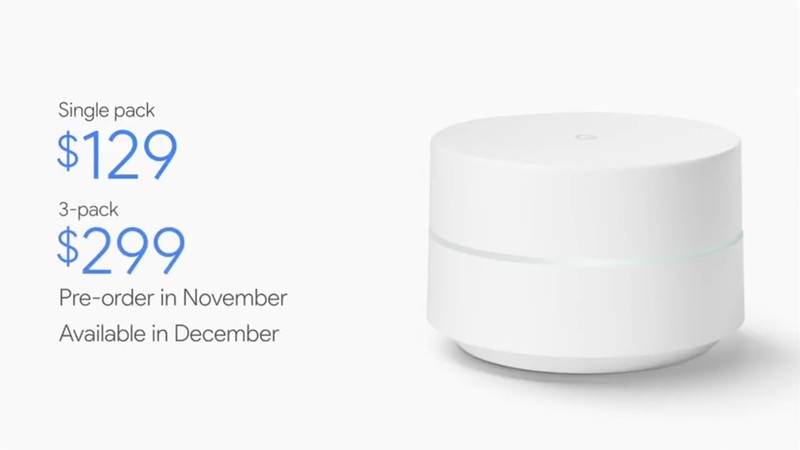 Google has launched its first router ever, but you will have to wait till December to get your hands on one. Although the pre-orders will start from next month, it won't be until December that the company will start shipping the Wi-Fi router to their customers. A single unit will set you back by $129 but if you can find two other interested friends, you can have a pack of three for only $299. Provided that you have a big enough house, you can also use multiple of these as the modular devices may also be used to widen the signal area of your primary router's connection. Google Wi-Fi will allow the admin to control network usage by enabling him/her to restrict data consumption on any of the connected devices. The Network Assist feature will continue to improve the performance of your network, in addition to decongesting it. It supports mesh networking as well, in case you already have an OnHub router. 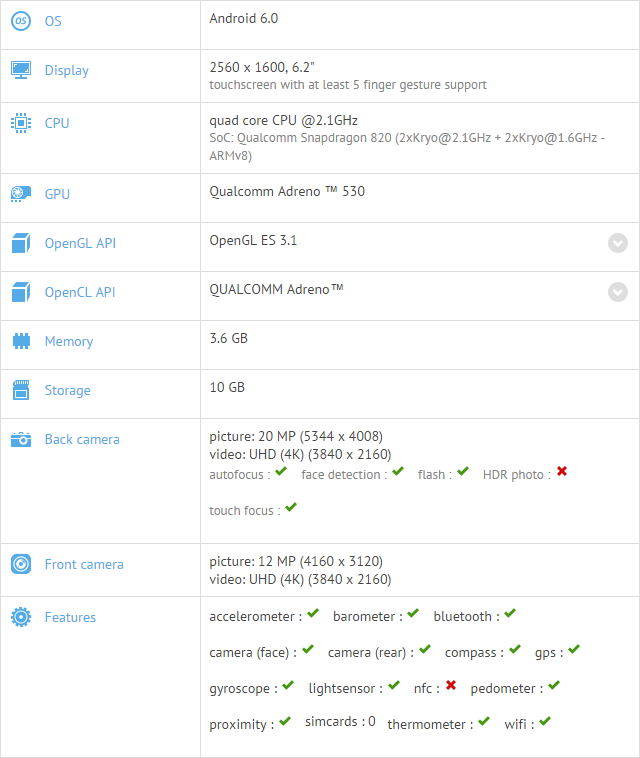 Check the hardware specifications below.